New data indicates that global carbon emissions from fossil fuels have risen sharply again, with 2018 predicted to see more than a 2 per cent jump in emissions growth. The data from the Global Carbon Project, hosted in Australia by CSIRO, indicates that most of the rise in carbon dioxide is coming from oil in transport and gas in industry with coal still a major contributor despite its declining use in many countries. Strong growth of renewable energy and electric vehicles has not been enough to counteract the rising emissions, say the scientists. Global carbon emissions from fossil fuels have risen sharply for the second year in a row, despite enormous growth in renewable energy, according to international data due to be released at the COP24 climate summit in Poland on Thursday. The new data from the Global Carbon Project head-quartered in Australia, predicts that 2018 will see the year end with more than a two percent increase in global carbon emissions compared to 2017 levels. The bulk of this CO2 is coming from oil (used to power personal transport, freight, aviation and shipping) and gas to make up for declining coal use in industry. Strong growth of renewable energy and electric vehicles has not been enough to counteract the rising emissions from growing economies such as China and India. In Australia, emissions in all sectors except electricity have been growing also. The shift from coal to renewables is gathering pace, but change will be needed in transport, industry and housing to meet the 2030 emissions target and longer term goals. Where is the emissions growth coming from? Which countries are growing their carbon dioxide emissions and why? How and why are Australia's carbon emissions growing, and what is the prospect over the next decade? Is there any reason for optimism? Dr Pep Canadell is Executive Director of the Global Carbon Project an international research project hosted in Australia by CSIRO. Pep will review the latest 2018 global data. Professor Frank Jotzo is Director of the Centre for Climate Economics and Policy at the Australian National University's Crawford School of Public Policy. Frank will discuss Australia's emissions and current trajectory. The findings of the research in the Environmental Research Letters paper are what I would have expected. Global carbon dioxide emissions from burning fossil fuels levelled off from 2014 to 2016 largely because of the switch from coal to natural gas, which emits less CO2 when burned, in the US after fracking was developed and an economic slowdown in China at the same time. Based on the data in the paper, that switch in fuels slowed down in 2017-18 in the US and global economic growth, including in China, has been very strong. Growth in new renewables is very fast but not yet big enough to outweigh the growth in fossil fuel use due to economic growth. Based on current trends, it does look likely that new renewables will eventually grow fast enough for CO2 emissions to fall even under current policy settings. So there are some grounds for optimism as stated in the Nature piece. But we should expect emissions to rise for the next several years unless there is another global recession. Despite this bad news, there are still grounds for hope. We have the technologies we need to greatly reduce carbon emissions at low cost. The key steps are replacing coal-fired and gas-fired electricity with renewables, and then electrifying transport. Unfortunately, a combination of corrupt vested interests and bloody-minded ideologists have slowed or halted progress towards these goals. History will judge very harshly those who have obstructed progress towards a stable climate, notably including the current Australian government. Two authoritative publications in the journals Nature and Environmental Research Letters report that carbon dioxide emissions from fossil fuel combustion in 2018 are likely to increase to 37 thousand million tonnes in 2018 after it appeared that these emissions were leveling out in 2014-2016. This is a worrying observation as global carbon dioxide emissions must start to fall continuously by 2020 to reach zero by about 2060 if the global temperature rise is to be kept below 1.5 °C and climate change is to be kept manageable. China and the United States are responsible for 28% and 15% of carbon dioxide emissions, respectively, with Australia contributing only 1.2%. It might be tempting to say that there is therefore little that we can do but this would be counter-productive. China, which is by far the largest coal producer, is switching to other energy sources to minimize chronic air pollution, as is the United States, despite Mr Trump’s views on climate change. Generally, the developed nations are being rapidly weaned off fossil fuels as renewable energy sources become increasingly price competitive; an option which is likely to be strongly endorsed by the COP24 climate conference underway in Poland. Inevitably this impacts on our economy which is very dependent on the export of coal and natural gas. Clearly, we must start moving towards large scale production and export of hydrogen, a fuel which has no impact on climate as suggested by Alan Finkel, the Chief Scientist. Catalytic technologies which use sunlight to convert carbon dioxide to methanol are in their infancy as yet. Methanol is a suitable fuel for aero engines and, given that we have abundant sunshine, investment in further research could well pay dividends. While there is a lessening of enthusiasm for nuclear power in some European nations, China and India are constructing new nuclear plants which should ensure that demand for our uranium exports remains strong. Meanwhile, at home the substantial lessening of the intermittency problem with solar and wind power through increasingly effective battery technology is easing our electricity supply problems. We could also look to adopting nuclear power, to an increase in our use of bio energy, and within a few years the use of hydrogen and possibly methanol to reduce our dependence on fossil fuels. This is very dependent upon our politicians developing a coherent energy policy. Ian Lowe is Emeritus professor of science, technology and society at Griffith University, Qld and former President of the Australian Conservation Foundation. This new research demonstrates that the world is not achieving the greenhouse gas reductions demanded by the 2015 Paris agreement. Emissions are still increasing. Coal is being phased out, a reminder that it would be economically inadvisable as well as environmentally irresponsible to proceed with the planned development of the Galilee Basin coal reserves. This research is also a powerful reminder that cleaning up our electricity supply will not go far enough to meet Australia's Paris commitment. We have no strategy at all to reduce emissions from transport, manufacturing and agriculture. In Australia as well as globally, emissions from transport are still increasing. We urgently need to change the policies which currently encourage increasing use of petroleum fuels. We have low taxes and consequently relatively cheap fuel by international standards, tax concessions for inefficient four-wheel drive vehicles, massive public funding of roads and limited commitment to good public transport, huge subsidies for road freight and no high-speed rail links between cities. This report strengthens the case for long-overdue investment in high speed rail in the Melbourne-Canberra-Sydney-Brisbane corridor, which accounts for a large fraction of the increasing emissions from air travel. Professor Mark Howden is Director of the ANU Climate Change Institute at The Australian National University and Vice Chair of the IPCC's Working Group II. The significant increases in global GHG emissions in 2018 reinforce the recent message of the IPCC – that rapid and far-reaching transformation is required to meet the goals of the Paris Agreement as clearly business-as-usual is heading us in the wrong direction. The timing of this report with the CoP24 in Poland will increase pressure on the negotiating teams to agree on the ‘Paris rulebook’ and in the Talanoa Dialogue that feeds into discussions about increasing emission-reduction ambitions as part of the UNFCC global stocktake. It also reinforces the results that have just come out from the UN that most countries, including Australia, do not have in place the policies that are consistent with meeting the Paris Agreement temperature targets. 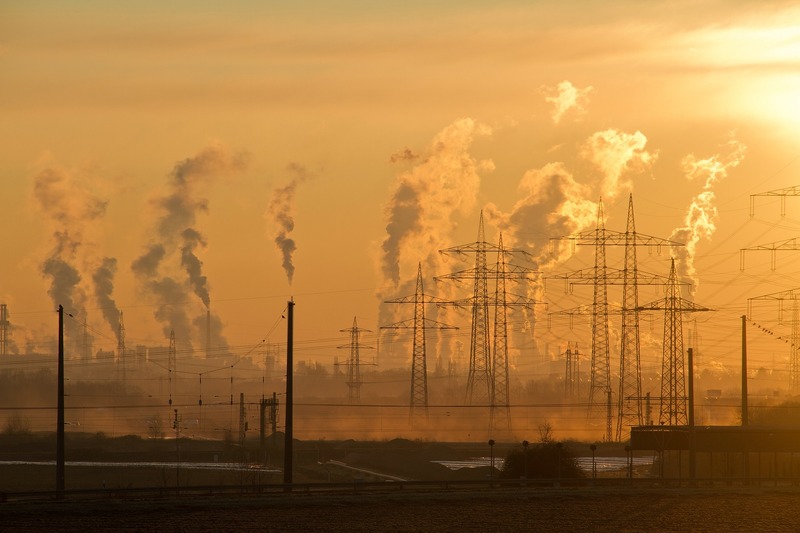 The IPCC report laid out feasible emission-reduction pathways that are consistent with adaptation to a changing climate and that can meet sustainable development goals.